There are few bands with a common purpose beyond that of the music they create, those who ardently stick to that purpose, thus transcending the vagaries of the often soulless music industry and becoming a genuine force for change. Animal Liberation Front members, The Way of Purity are one such band though, and with the fourth album Schwarz Oder Rot (The Sound Of The End), they will take one more small step for man and one more giant leap for animal-kind. The controversial collective will enter Mathlab Recording studio with producers Jonathan Mazzeo and Carlo “Charly” Bellotti on December the 3rd. This forth album will throw The Way Of Purity back to their original roots, sound and songwriting. Some major changes will take place again with massive emphasis on male vocals, thanks to the addition of two male singers in the line-up, and the return of xLOST MY FAITHx, in the line-up on vocals and synth. To celebrate this event xLOST MY FAITHx has issued a video announcement for the album. Warning – some disturbing scenes of animal cruelty. Ukrainian symphonic metal band Thy Despair have released their new EP The Free One. The EP was recorded at PystelnukArt Studio, and mixed/mastered by TA Promotion. The EP was released in two variants, in English and in Ukrainian languages, in order to get across to the English speaking audience the idea of the liberating struggle and aspiration for freedom of a nation in general and personality in particular. The band was formed by guitarist Phil (a.k.a. Nephilim) in 2006 in Kiev, Ukraine. Today Thy Despair’s lineup is: Elin (soprano), Phil (guitar / growl), Strike (guitar), Navka (keyboards), Tokha (bass) and Alex (drums). 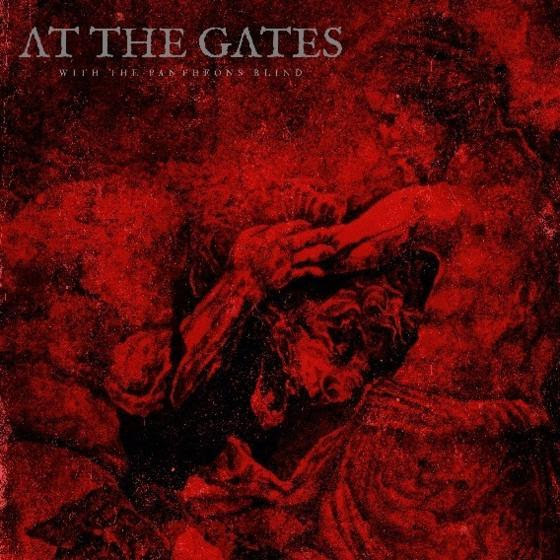 After a highly successful touring run across North America together with Behemoth and Wolves In The Throne Room, Swedish melodic death metal pioneers At The Gates have announced the release of two EPs for early January. They will be releasing both a strictly limited 7″ EP entitled The Mirror Black and a special digital EP entitled With The Pantheons Blind on January 11th, 2019. The pre-sale via CM Distro Europe has started. The digital EP With The Pantheons Blind contains all six bonus tracks from To Drink From The Night Itself recording sessions, now available digitally for the first time: “Daggers Of Black Haze” and “The Mirror Black” featuring guest vocals by Rob Miller (Amebix, Tau Cross), “The Chasm” featuring guest vocals by Per Boder (God Macabre), “A Labyrinth Of Tombs” featuring guest vocals by Mikael Nox Pettersson (Craft), a demo version of “The Chasm” and a merciless re-recorded version of the early At The Gates classic “Raped By The Light Of Christ”, originally featured on the band’s sophomore album With Fear I Kiss The Burning Darkness from 1993. The idea of getting guest vocalists on board for the bonus tracks for the album was us trying something new again…This time we wanted to get other artists involved in our music, getting their takes on our new songs. It was a pleasure working with everybody and all songs grew immensely in the process. The songs we did with Rob Miller was for me personally something extra. Of course, people who know me, know that I am a massive Amebix fan. And I love the more recent stuff with Tau Cross too. I had no idea what to expect. But the songs grew so goddamn much together with Rob‘s powerful voice. We decided early on that these versions were worthy of their own release. This is for me personally one of the greatest achievements of my career, to share the vocal space with one of my favourite vocalists of all time. I am so proud of this release. Hope everyone else gets as much joy out of it as I do. 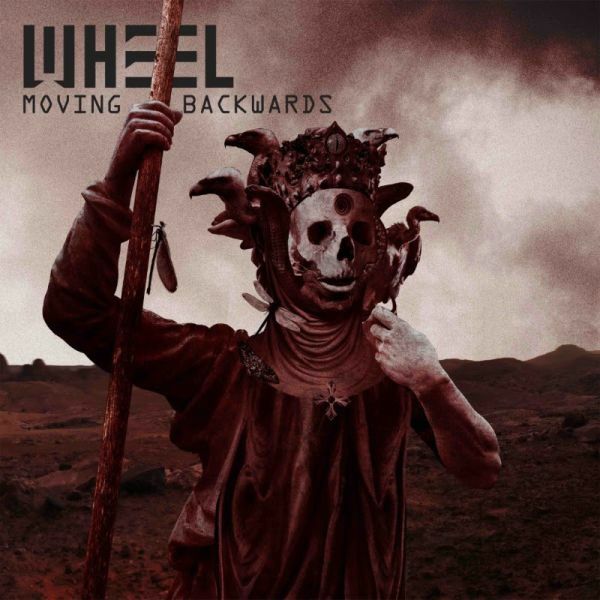 Progressive metallers Wheel have released their new single, “Vultures”, as well as announcing their debut album, Moving Backwards, which will be released on February 22nds via Odyssey Music Network. Exploring themes of online witch-hunting, the video was filmed in a school and sees one pupil at the centre of attention, watched by other children and subject to the demonization and judgement that has become commonplace, accompanied by the track’s dark, driving orchestration. Following the release of two EPs, The Path (2017) and The Divide (2018), Moving Backwards sees the band showcasing their distinctive and time-defying collage of progressive rock, grunge and film score that twists and turns into Tool-esque masterpieces.